South of Amalfi and Pompeii and just past the Gulf of Salerno, the coast of Italy projects out into the sea in a series of dramatic headlands and broad sweeping bays. This is the area of Cilento, most of which is protected as a National Park. 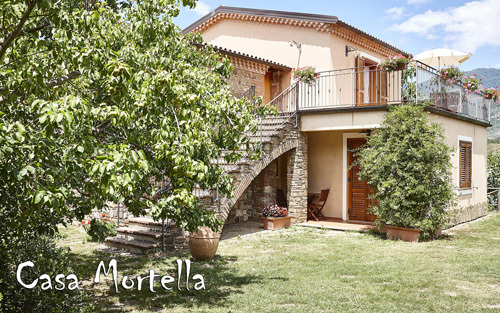 Your base for the week is a delightful hilltop farm with views overlooking the verdant park. Each day you ride out to explore the surrounding parkland, with a rest day for all in the middle of the week. The routes have been carefully researched, with names that reflect the Greek, Roman and more recent heritage of the area; The Crest of the Gods, Between the Middle Age and Renaissance, the Salt Trail and the Route of the Monks. On some days you will ride high up into the mountains with tremendous views of the surrounding countryside, on others you head to the shore for faster rides along the sandy beaches. Farm trails lead you through fruit orchards on the valley floor, into terraced olive groves and to beautiful wilderness areas of wild broom, rosemary and fennel. Other routes pass through ancient villages clinging to the steep valley sides where you may stop for a coffee in a local bar. Accommodation is in beautifully restored cottages, simply decorated and furnished in keeping with the local style. The ensuite bedrooms have tiled floors and high ceilings with fans. It is possible to pay a little more to have your own private veranda. There is also a large swimming pool which is open from mid May to early October. The food prepared will be an important part of your holiday. Meals are based around the seasons so vegetables and fruits are eaten when they are at their best. At lunch, the support crew meet the riders for a picnic, prepared freshly from the farm kitchen. There is time to stop, relax and find some shade before saddling up for the afternoon ride. At dinner enjoy Italian cooking at its best. Most of the food you eat has been grown and prepared on the farm, from the vegetables and meat to pasta, bread and cured hams. The farm even makes its own cheese and wine. This farm is part of the Slow Food movement which started in Italy, but is now an international organization that aims to counteract fast food and the fast way of life. On the day of rest, you may choose to relax by the pool, walk into the nearby village or with prior notice we can arrange for you to visit Pompeii or to have a cookery lesson arranged and learn more about the Mediterranean cooking of the area (minimum three people). Rates include*: 7 nights accommodations with private bath, half board (breakfast and dinner), picnic lunch on excursions, wine with dinner, 12 hours riding (7 hours trail riding and 5 hours of lessons), transfer to the beach on your day off from riding. Rates do not include: Gratuities, alcohol outside of the table wine at dinner, non-riding excursions, cookery courses, lunches on non-excursion days, meals not on the farm premises. The Campania Ride is a relaxed riding programme perfect for visit the surrounding area of Cilento and, at the same time, ride in this fantastic place. It includes 12 hours riding (7 hours riding excursions and 5 hours riding lessons) and half-board accommodation at the agritourism. Guests arrange directly with the instructor on arrival. The excursions are typically 2-3 hours in length. Lessons are basic instruction that can be done in a group or privately depending on the rider's needs. This itinerary is particularly good in the hot summer months when it is too hot to ride during the day. The ride may be available at other times of the year, when it may be possible to have longer trail rides with a picnic. Guided tours to the archaeological site of Velia, interesting walking tours along the crest of the gods and the suggestive trails of Cilento passing through ancient towns; bowshot, swimming in the pool and the possibility to participate at the main rural works on the farm (picking olives, milking the goats, making cheese in our cheese-factory...) will make your stay interesting and pleasant. The farm is the ideal place for those who love open air sports. Nature is the real protagonist here, you’ll want to go hiking through uncontaminated woods and the typical mediterranean vegetation or walk along beatiful trails and medieval towns of the National Park of Cilento. The possibility to do some bowshooting or to swin in our pool will give you the chance to reach a perfect state of mind and body. 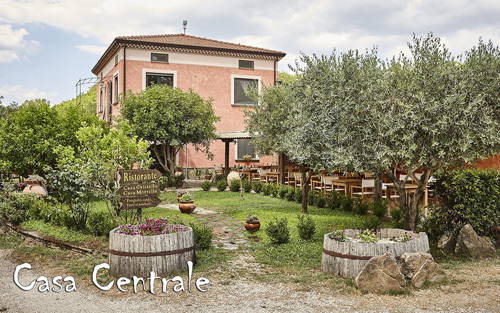 The excursion can be started in the town of Montecorice,more precisely in the village of Cosentini or Ortodonico, or in the town of Perdifumo. Starting from Cosentini you will pass through an area called “ Montanari” reaching the country road.Starting from Perdifumo instead, you will follow the crest of Punta Carpinia until reaching the equipped area of Monte Corbara. The path will bring you from here through a wooden area along the crest and offers many panoramic views. You will be able to observe “ Mount Cervati”, the “ Alburni”, but also Cape Palinuro, the gulf of Salerno and the Amalfi coast. This itinerary, which offers a landscape painting of rare beauty, also has e rich historical background.Along the way you will see the ruins of the “ Castelluccio” and the Chapel of the “ Madonna della Stella” whose cult dates back to the pre-Christian age. Walking down from Mount Stella ,through a beautiful wood you’ll reach the so called “ Vivaio” an quipped area, ideal place for some relax. 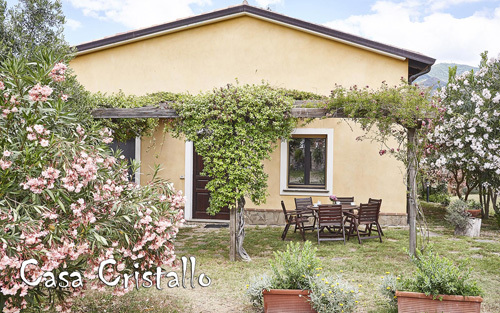 From Celso,another panoramic path takes you to the convent of San Francesco and then to Pollica which has a well-preserved historical center and a small castle. This route is all down hill, passing through the village of Cannicchio, unchanged in all this years, and through a wonderful Mediterranean scrub until reaching the coast.The walk ends on the sea and along the streets of Acciaroli, characteristic seafearing town. This route can be also started in the town of Celso, going towards the village of Galdo, or following the river as far as Pioppi where you can take a bath in its crystal clear water. Perfect for those that have never been on a horse before or for those who still consider themselves novice. The combination of basic lessons (taught in group setting or private depending on rider's needs) and trails (2-3 hours each) will give riders a good foundation of skills while being able to enjoy the beautiful Campania on horseback. Our instructors and guides are patient and excited to share their passion of horses with you! You will be riding a total of 12 hours (7 hours on trail and 5 hours lessons). Guests arrange directly with the instructor on the days they'd like to ride. You will find a stable of sure footed and steady horses, the ideal mounts to explore the rugged countryside. Different kinds of accommodations will satisfy every need of the guests: rooms and apartments all well furnished, spacious, and comfortable with private bathrooms and surrounded by a wonderful nature and beautiful view. Rooms come with a safe, air conditioning, kettle, hairdryer, and mini fridge. The accommodations offer all comforts, terraces, gardens, and are all nearby the wonderful swimming-pool and solarium in order to enjoy sunny days and a magical atmosphere. All double rooms can be converted in twin share with two standard single beds.